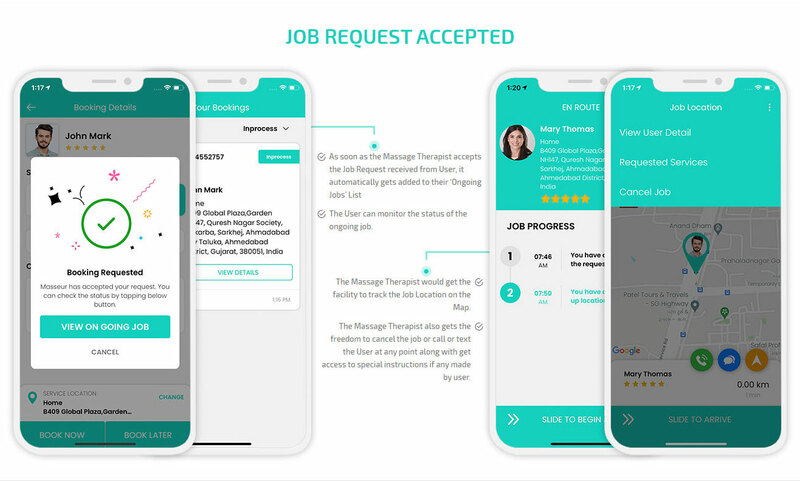 What could be better than giving your customers the power to hire a massage therapist on demand just with the click of a button with your Go-Massage Clone app? 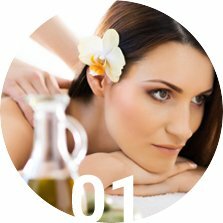 Allow your clients to get instant bookings with professional Massage Therapists on Demand as you make money with every booking! 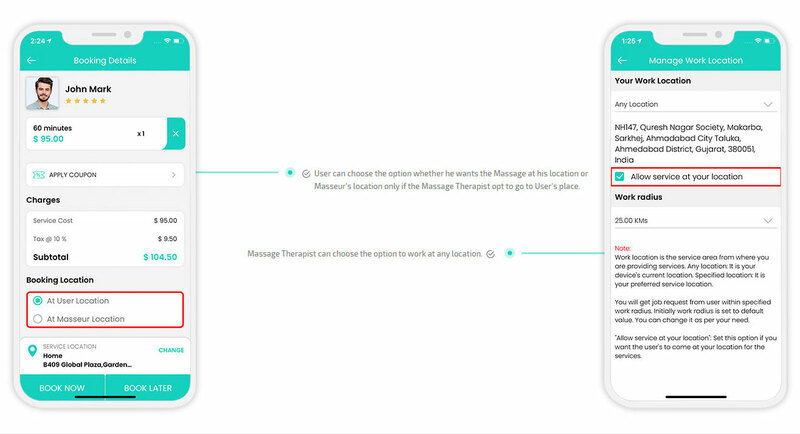 Our Massage On Demand app is a one click solution to your customer's massage requirements. 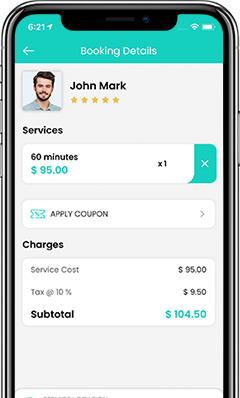 We've developed the app to be robust and Customer friendly so that more and more people can avail services from your app and make you a lot of money. This app is absolutely responsive and therefore works seamlessly over Android and iOS devices. One can use it on their smart phones, tablets, PCs, Laptops or any other digital assistant. 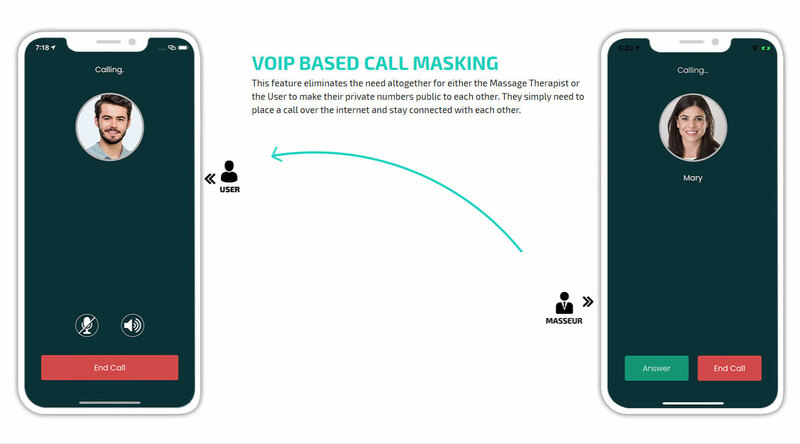 We have put together some of the best features just for you! Admin Web Panel to manage the overall working of the app i.e. Payments, Commission, Rates, Massage Therapists, Users/Clients, etc. 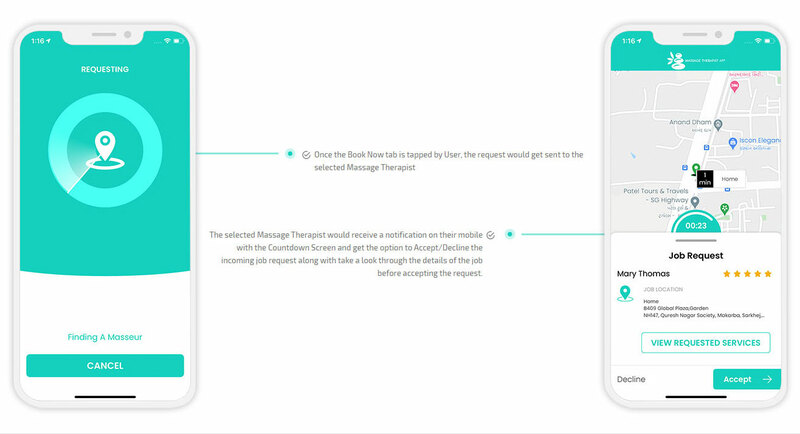 Give your clients the most relaxing experience as you make a lot of money using massage on demand app! 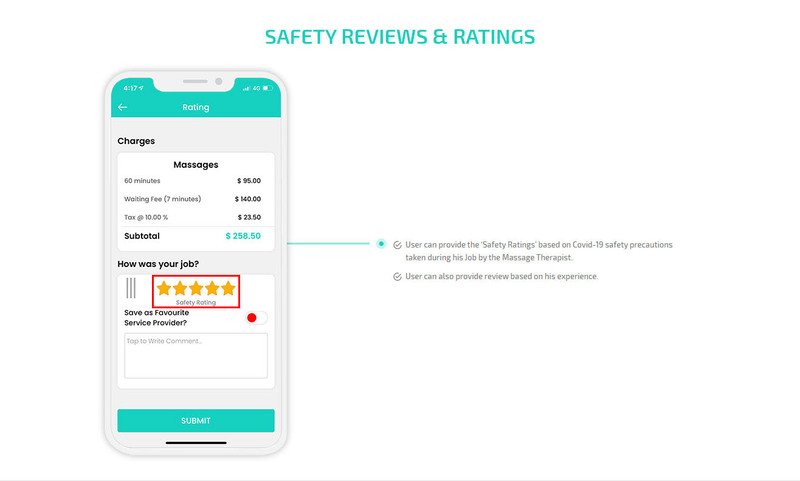 The Customer downloads the app and logs in to it using their Social media IDs like Twitter, Facebook, Gmail Ids or through their other email or create their own new registration by filling in all the required details like name, number, email id etc. 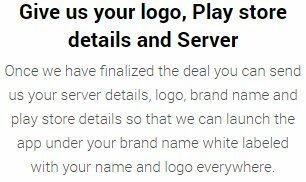 The Customer will also put in their Credit card details at this point. This is done so that there is no problem in payment in the end. Payment will happen in a seamless fashion once the task is over. 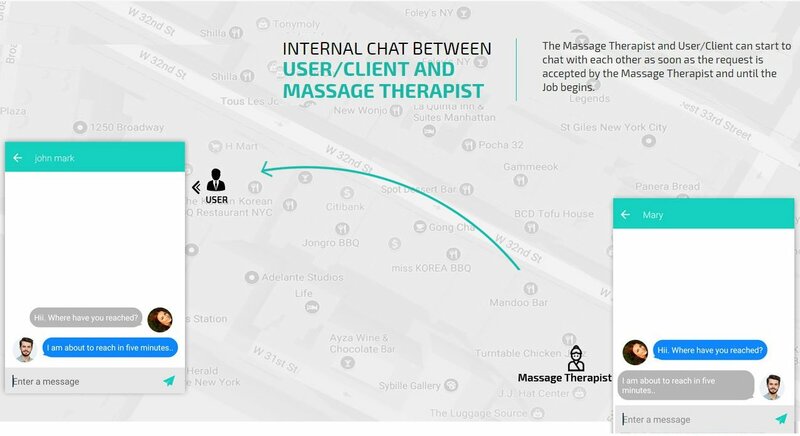 Then the Customer can log on to the application and then choose the Main category of service desired, like Deep Tissue massage, Swedish Massage, Thai Massage etc. 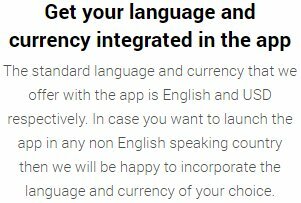 Once the main category is selected, the Customer will now choose the duration of the service like 30 mins, 60 mins, and 90 mins. 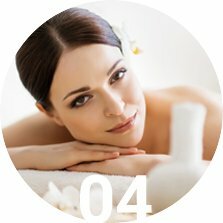 After the selection is made, the Customer will get a list of all the Massage Therapists in and around the area who are willing to render the service required. 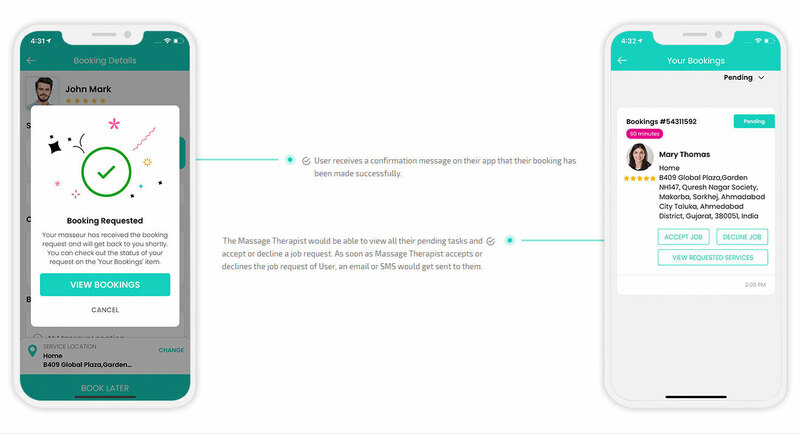 The Customer will be able to see the detailed profile of these Massage Therapists by clicking on their icons. These details will include the Therapist's qualifications, certifications, rates, previous Customer Ratings etc. 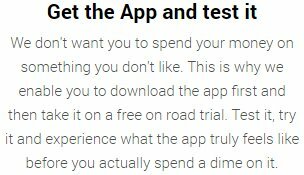 These details will help the Customer decide who they want to go for. Once the Customer makes his selection, the chosen one gets a notification with the job requests. The Massage Therapist can choose to accept or reject the request. If accepted the job is allotted to him or her. If not, the Customer is notified that his request was denied so that they can send the request to another therapist. 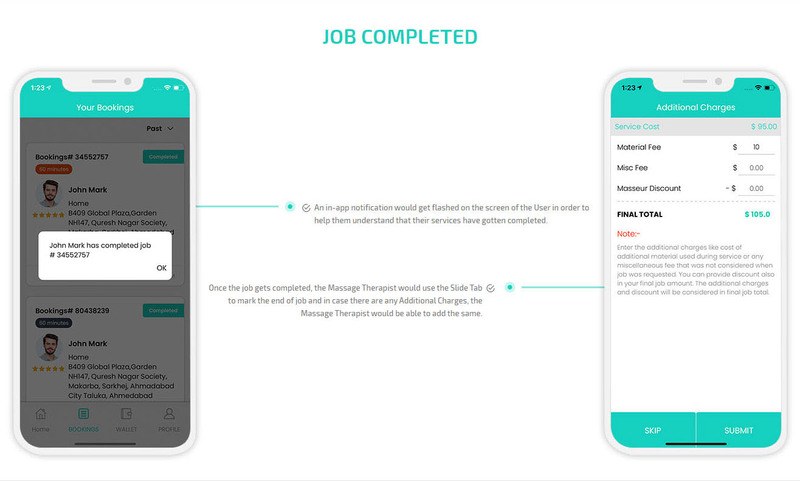 Once the task is allotted, the therapist reaches the destination of task at the appointed time and updates it in the app as "ARRIVED". Then on starting the task, the Therapist uses a radio button to mark it "STARTED". 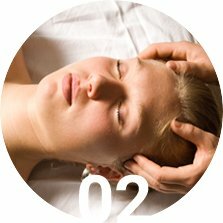 After the massage is done, the Therapist slides a radio button to mark the task as "COMPLETED". 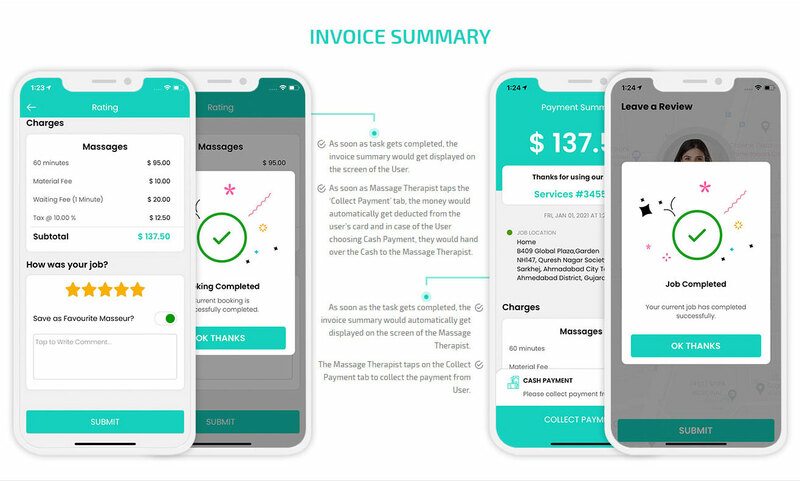 When this is done the app automatically flashes an invoice to both the parties. 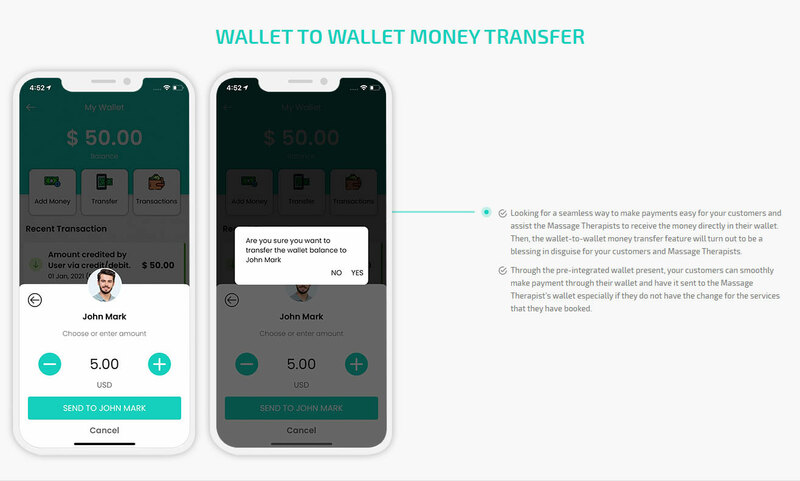 The Customer can choose the method of payment that he would prefer such as Cash/ card or in app payment wallet. 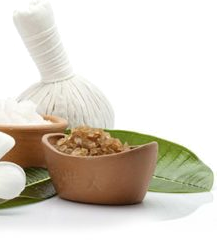 If the Customer chooses the Cash option, payment is made directly to the masseur/ masseuse. 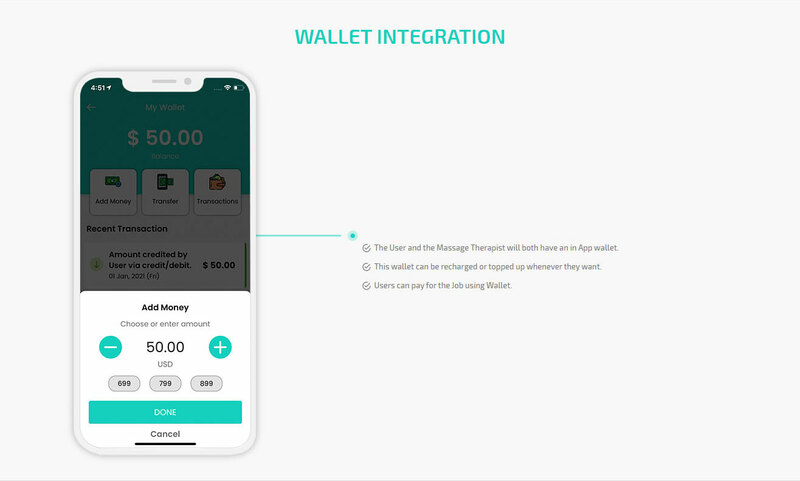 In case the in app wallet is used, payment gets deducted from the wallet. Otherwise, the payment will directly get deducted from the credit card information put in the zomato clone app earlier. The wellness industry is thriving like never before. Everything today is about self improvement, Zen and personal well being for the holistic growth of an individual. People all over the world are spending hundreds of thousands of dollars for their own wellbeing. 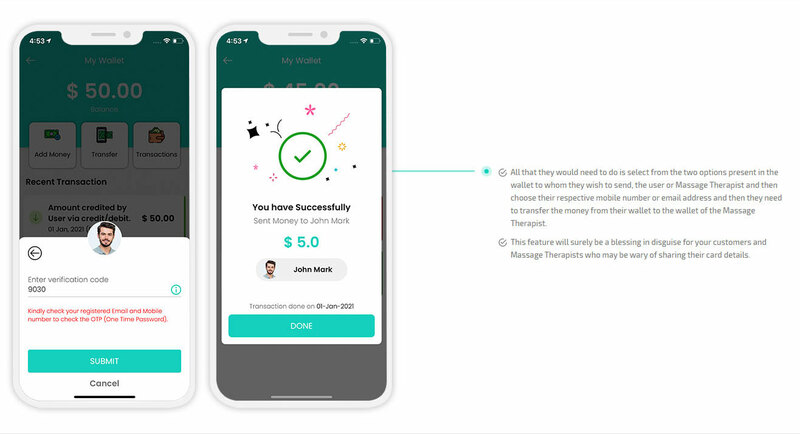 This is the perfect opportunity for you to make a small one time investment and reap the benefits of this every earning massage on demand app. 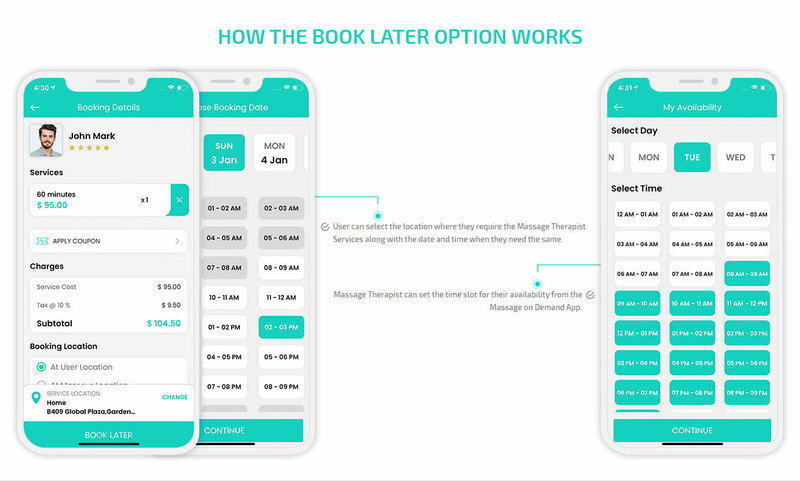 Every time someone uses your app for a massage session booking, you get a commission. Not only that, you are the only person as admin to decide how much commission you will make on every booking. 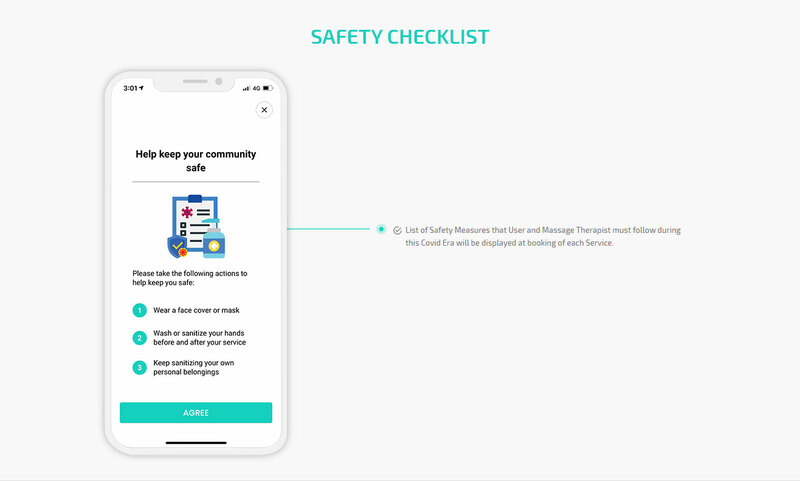 A stand alone app can't survive the wellness industry.This is why we have dedicated ourselves in bringing the best possible solution for you in one power packed package. 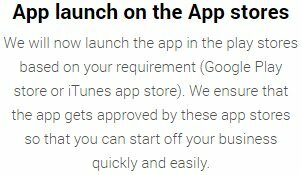 We don't just bring a single app for you but empower you with a User app, a Massage Therapist app, a Unique Admin Panel and a beautiful Website to represent your application..
A single investment is sure to put you on your way to success. We know how much your business idea means to you and so we leave no stone unturned to ensure that you are completely satisfied. 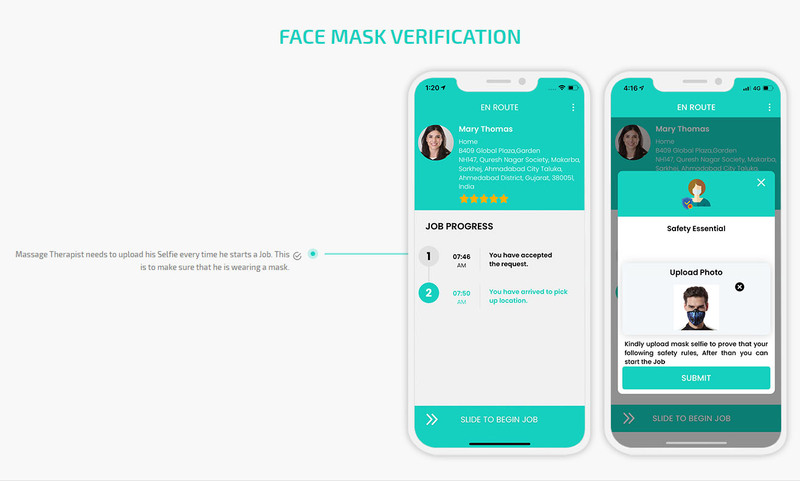 We have tried to incorporate everything in the app to meet the industry standards, but if you have more ideas that you want for your zeel clone application, we would be happy to help you with it. Just let us know what you are looking for and we'd be overjoyed to assist you with it.